3D printing has become a subject that the public are fascinated with, following stories of huge projects such as entire houses being created through the medium. While building entire streets of houses created entirely from 3D printing techniques is a way off yet, there’s no denying that the technology has captured the imagination and opened up possibilities which previously would have been unthinkable. SPI Lasers has been at the forefront of the market offering significant advantages for any company working with metal-based products. Here’s a look at why 3D printing is so desirable and just why SPI Lasers are so superior to their competitors. Part of a technology which falls under the umbrella of rapid prototyping, 3D printing has actually been around since the 1980s, and isn’t the brand new invention that many people think. 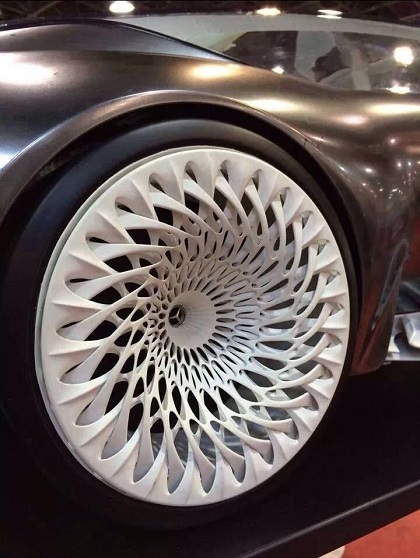 It uses a 3D design model on a computer and it’s this which works in tandem with the “printer” to slowly build up the product, one microscopic layer at a time. Extremely complex models can be built in this way, including shapes which wouldn’t normally have been possible with traditional manufacturing techniques. Lasers play an integral part in the process, treating the materials which are squirted out by a special printer nozzle. Curing, cutting and sintering are the main tasks that the laser must complete and it’s essential that the process is carried out to a very high standard to ensure the integrity and strength of the final product. With so many companies entering the 3D printing market, competition is stiff but when it comes to choosing your 3D printer, and the components it contains, there’s really only one choice you should consider: SPI Lasers. Compared to the rest of the field, 3D printing machines made with SPI Lasers are far superior, offering better function and excellent results, as well as a laser that will last. The advantages start as soon as the machine is switched on as with SPI Lasers there’s immediate power stability which means the final work piece will have far less instability. Once the task of creating the piece begins, finer processing and higher throughput can be achieved; this is due to the use of faster pulse rise times and subsequent shorter pulses. Temporal pulse shaping can also play an integral role, and is considered as one of the most desirable features to look for. In process monitoring is possible with SPI Lasers thanks to the PIPA fibre providing a back reflection signal; this means there observation is non-invasive yet nevertheless in real time. There’s also back reflection protection because it’s never possible to entirely rule out any issues, even with the use of powder. There are lots of different materials which can be used for 3D printing but if you’re considering any kind of metal-based rapid prototyping, you shouldn’t even contemplate using a printer which doesn’t use an SPI Laser. We are one of the most innovative and pioneering Laser production companies with work in lots of different sectors and industries. 3D printing is a true technology of the future which is expected to continue to grow in popularity and use and it’s an area where SPI Lasers can offer a real advantage. With Lasers such an essential part of the 3D printing process, can you really afford to risk using a machine which doesn’t include the very best parts? SPI Lasers is THE 3D printing solution for the future.